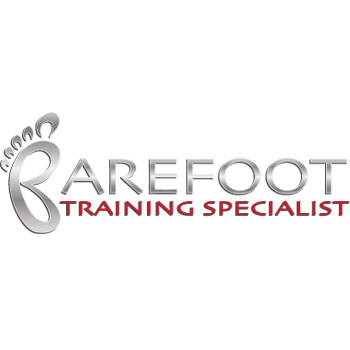 This 10 hour certificate program prepares you for Level 2 & 3 of the EBFA Barefoot Training Specialist® Certification program. Whether a client’s goal is corrective exercise, performance, or weight management, barefoot and foot-specific training can create faster and greater results. Integrate barefoot training into small group and group fitness applications for creativity, challenge, and injury prevention. Use corrective barefoot training for clients and patients with ACL injuries, low back pain, ankle instability, SI joint dysfunction, hip labral injuries, and several other lower extremity difficulties. Explore how barefoot science can enhance the timing of muscle activation patterns and how this directly relates to the prevention of hip, knee, and foot injuries. Prerequisites: Approved (accredited) Health/Fitness Certification or Licensure, or Higher Education Degree in related field. This course would also be valuable to those in allied health and medical fields such as Athletic Trainers, Physical Therapists, Occupational Therapists, Podiatrists, and Chiropractors. Athletic Trainers – EBFA foot and barefoot education programs are designed to present the latest research as it relates to restoring foot function, corrective exercises and athletic performance. With no established guidelines on barefoot training protocol, this is the only workshop that will fully prepare athletic trainers to better integrate barefoot training and foot fitness into their athlete’s programming. Personal Trainers – EBFA foot and barefoot education programs are designed to present the most effective programming for personal trainers. Whether a client’s goal is corrective exercise, performance or weight management, barefoot and foot-specific training can create faster and greater results. Movement Specialists – With the foot as the foundation to human movement, many movement dysfunctions treated by movement specialists integrate the foot. By understanding and implementing barefoot science and from the ground up corrective exercise techniques, movement specialists will be able to confidently address all movement dysfunctions. Group Fitness Instructors – Looking to increase the challenge or creativity in a group exercise setting? By integrating barefoot training and foot-specific exercises, group fitness instructors are able to stand out among the competition while keeping their classes fun, fresh and effective. Physical Therapists, Podiatrists & Chiropractors – Evidence supports corrective exercise techniques using barefoot training as a powerful aid for patients with ACL injuries, low back pain, ankle instability, SI joint dysfunction, hip labral injuries, and several other lower extremity difficulties. Explore how barefoot science can enhance the timing of muscle activation patterns and how this directly relates to the prevention of hip, knee, & foot injuries. In closed chain kinematics the foot is the foundation to human movement. This means that any dysfunction in the foot must impact knee, hip and lower back alignment. Conversely, in open chain kinematics, hip strength controls knee and foot posture. Learn one of the most effective techniques for improving foot posture, controlling knee pain and strengthening the hip. After this course you will fully appreciate the power of barefoot work. Improve posture and build strength – with barefoot balance training. Please see individual course product pages to see Course Objectives. Continuing Education credit is included in the price of this specialist certificate program. Successful completion of all 3 courses and course quizzes is required to receive continuing education for each course and to be awarded the Specialist Training Certificate of completion.